A time trial cyclist is chased by time. During his 16-year career Swiss cyclist Fabian Cancellara (35) was so dominant in this taxing part of the sport that it appeared time couldn’t get a grip on him. This year he concluded his career with a second Olympic gold medal. “This is a stand-alone victory that can’t be compared to anything else”, says the cycling legend during an exclusive bike ride around his native city of Bern. “I am very precise. Everything has to be just right. The preparations, the equipment, everything. 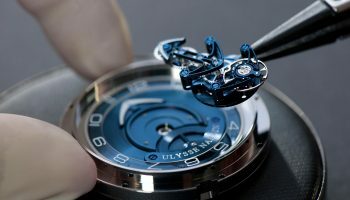 I’m a tourbillon! The American cycling tourists who are doing a multi-day tour of Switzerland don’t know what’s hit them. The group had arrived at the 5-star Bellevue Hotel the night before, riding a fleet of rented Bianchi racing bikes, and the name Cancellara was floating around long before they rode into the Swiss capital. “We’re about to enter ‘his’ city, so maybe we’ll see him cycling around!”, the tourists hoped out loud, a grey-haired resident of California in a brightly coloured XXL-sized T-shirt tells us. And then suddenly there he was, the next morning, on his bright red Trek and dressed in the black & white colours of his Trek-Segafredo team. The modest champion isn’t fazed by the excited attention of a group of middle-aged, lycra-clad men. He patiently poses for pictures and accepts congratulations. He looks relaxed. “Did you arrange for this?” he jokes to me. I deny it, but I did in fact casually mention that something special was about to happen. And so for some, the holiday of the year became the encounter of a lifetime. 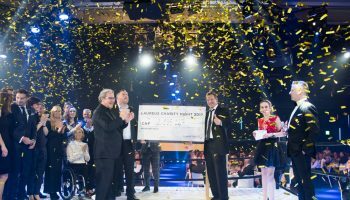 The night before, national hero and local legend Fabian Cancellara is obviously recognised at the terrace of the restaurant on the banks of the River Aare that winds its way through Bern. However, the restaurant visitors maintain a respectful distance and give the champion time and space. “The Swiss are a down-toearth people”, Cancellara tells us over a glass of Radler, a light beer that he can allow himself after his eventful year. “People recognise me, but they don’t bother me. After my win in Rio they wave at me and congratulate me when they see me on the bike, but it doesn’t go over the top. I come from this region and I’m almost an everyday occurrence here, cycling around. I find it amazing that when I take a coffee break during a training ride people don’t allow me to pay. That’s what happened to me right after Rio. Normally I pay for my own coffee. I see it as a sign of respect and I appreciate that very much.” The otherworldliness that is so often a part of celebrity is nowhere to be seen in the man from Wohlen bei Bern. “I’m a married father of two daughters. An ordinary family man who happens to be a professional cyclist but who is otherwise not really different from anyone else. It’s just not my thing to brag about what I have achieved in my life or to start behaving differently than I really am.” The winner of seven cycling classics, wearer of the yellow jersey in the Tour de France and holder of countless time trial titles is a thoughtful individual. A serious man who values substance over external appearances: “I’m happy that people appreciate me as an athlete, but it’s much more important to me that they value me as a human being. Take the Belgian fans. I have a fan club in Flanders and because of my victories there I have a special bond with the country, and the country with me. Not just because I’ve won competitions there, but mostly because of the way I won them, the way I experienced everything and the way I presented myself to the fans. 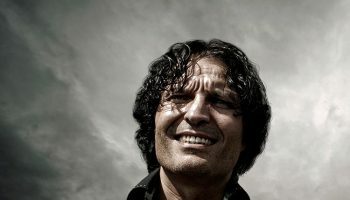 Being appreciated as a person is the biggest compliment for an athlete, because it goes deeper.” After two ‘girly beers’ (as Cancellara calls them), and curious questions about the ins and outs of the peloton – the inquisitive cycling fanatic occasionally took over from my role as watch journalist – it’s time for bed. 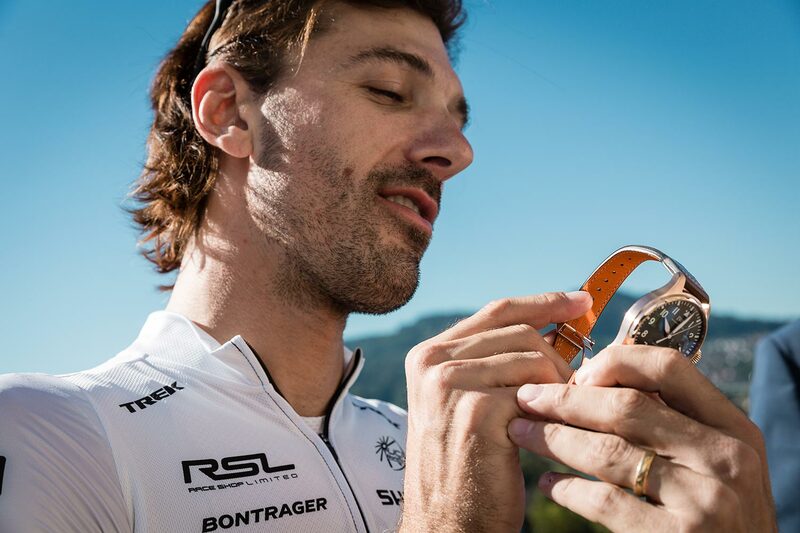 Cancellara checks his Big Pilot’s Watch (“an absolute classic that I’ll never get tired of looking at”), calls a taxi and tells us he has a great cycle route in mind for us for the next day. I’m already regretting my single girly beer. Fortunately my fears are unfounded. After the encounter with the American fans and Cancellara’s and the handover of a gold Big Pilot’s Watch Spitfire – a gift by IWC Schaffhausen in the spirit of “Gold for Gold”- it’s time for the cycle tour around Bern and a chat about his life on the racing bike. The lightly rolling terrain around Bern and a Cancellara who is not in competition mode provide the conditions for a good conversation – about cycling, his experiences as a professional cyclist and about watches and time in general. The two-time gold medal winner has every reason to be proud of his performance. 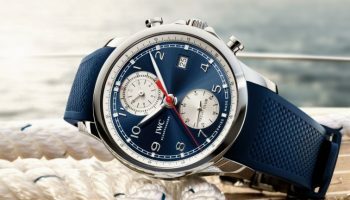 He is also proud of his IWC ambassadorship, he tells us during lunch, after climbing up the Ferenberg and back down again. It’s an ascent where he has shed many a drop of sweat: “It feels good. Of course it’s also an ego thing. 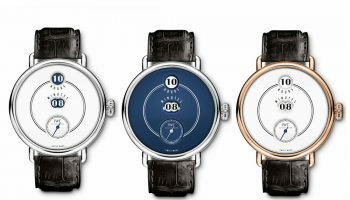 The fact that my name is associated with a leading maison in the top echelons of the watch market is a real compliment. It’s flattering. I do feel genuinely involved with the brand. I’m very serious when it comes to watches. 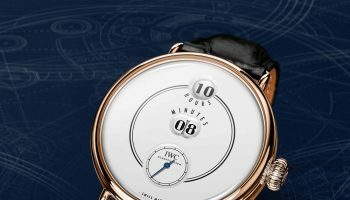 Don’t come asking me if I can get you a discount on an IWC. I won’t. 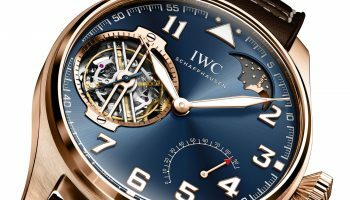 I represent IWC, I don’t sell their watches like some sort of market trader. That would compromise IWC and my own role. The Aquatimer I’m currently wearing is my race watch. 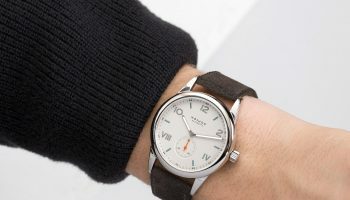 This year I wore the watch during a race in Abu Dhabi, during the seven-stage Tirreno-Adriatico, the Giro d’Italia and the Tour of Switzerland that was completely rained out. I was very curious how the watch would handle desert sand and dust, but also rain and mud, but as you can see it’s coping very well. Hardly any trace of the intensive use and it has never stopped working. I tried to wear the Top Gun Chronograph with the ceramic case when racing, but the fabric strap meant it wasn’t really suitable. Sweat and nylon don’t go well together. 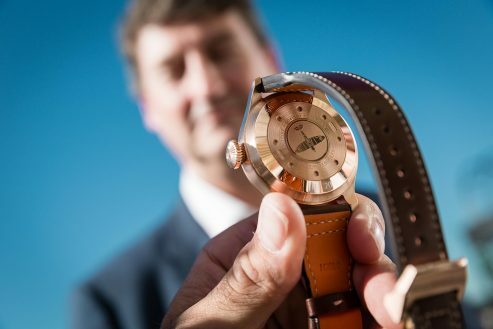 I also considered the lightweight carbon fibre Ingenieur, the special AMG version, but with its rubber strap and rubber-coated case this Aquatimer is the most suitable.” Will time accelerate, slow down or stop altogether now that the professional cyclist has permanently taken off his race number? 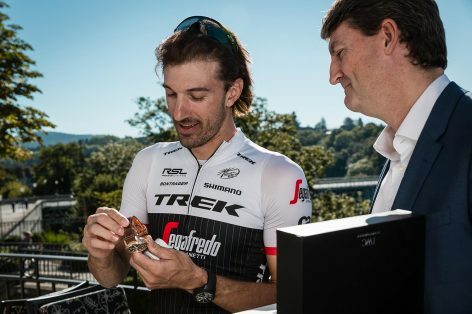 Cancellara considers the question before answering, takes a sip of Rivella and says decisively: “Now that I have retired from cycling time will accelerate. I can no longer use the excuses I had as an athlete. Performing was the only goal. From now on I can’t just cancel something because I’m tired from a 5-hour training session and want to lie on the couch, immersing myself in my own little world. My new life is starting and I’m going to take the time to really enjoy it.” What that means in practice? That, after posing for the photographer for a while, the best Swiss cyclist of all time rapidly heads home. He needs to get back on time: he’s taking his daughters to the circus. Something he didn’t have time for these past sixteen years. 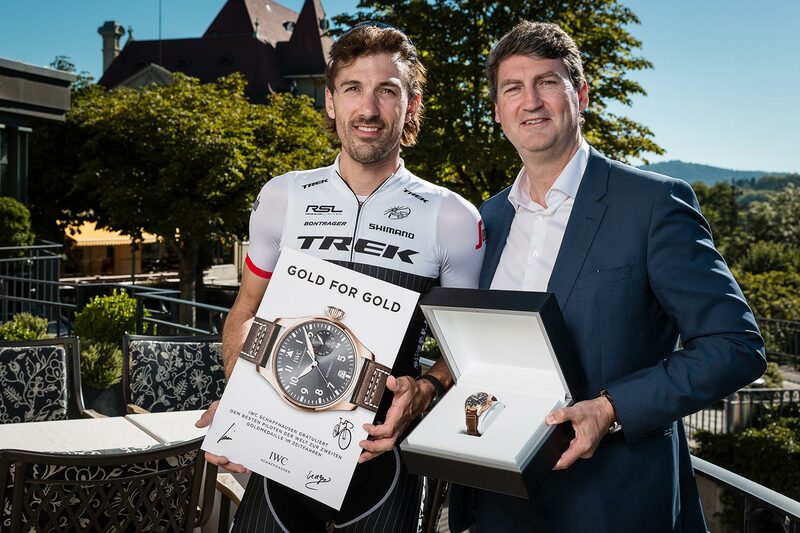 As a committed and proud Swiss sponsor IWC couldn’t really have done anything else, but the special watch presented to Fabian Cancellara at the terrace of the Bellevue Hotel in Bern was both a grandiose gesture and a huge surprise. 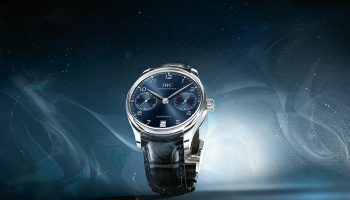 When Linus Fuchs, IWC’s Managing Director Switzerland, opened the watch box the eyes of the two-times Olympic champion lit up. Cancellara was visibly surprised and thrilled with the red gold Big Pilot’s Watch Spitfire, and he was touched by the special engraving on the case back as well. 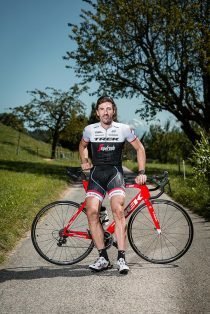 Fabian Cancellara (Wohlen bei Bern, 18 March 1981) is the son of an Italian father and a Swiss mother who, after 16 years as a member of the professional cycling team, is hanging up his bike, a red Trek. 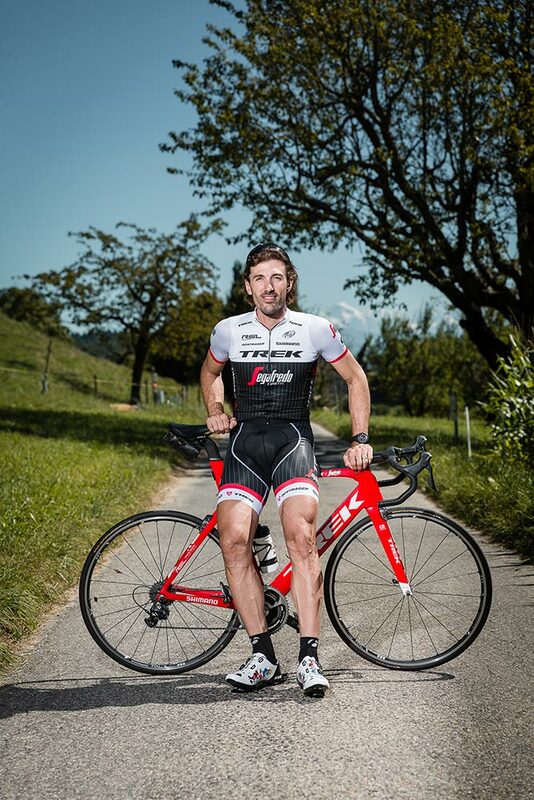 Cancellara’s impressive honours list includes ten national titles, four world titles and two Olympic titles for individual road time trials; each and every one of them a record. However, the 1.86m tall Swiss national also managed to win a so-called ‘Monument’ on seven occasions. Monuments are the oldest and most important classic one-day competitions in bicycle racing. Cancellara won the Milan-San Remo once, the Tour of Flanders three times and the Paris-Roubaix road classic three times as well, making a total of seven. In addition, he clocked up eight stage wins in the Tour de France, wore the yellow leader’s jersey for a total of 29 days, won countless Flemish races giving him a huge following of Flemish fans plus a fan club in Belgium, and three first places in the Strade Bianche him the sole record holder. He was able to add the 2009 tour of Switzerland to his record as well. Cancellara’s record is long and impressive – too long to show it in its entirety here – which resulted in quite a few nicknames, as well. The best-known is undoubtedly ‘Spartacus’ – his Trek-Segafredo crew gave him a special bike with a graphic depiction of the gladiator theme and even a real shield – but he is also called ‘the Bear of Bern’, ‘the Steamroller’ or ‘Lord of the Cobbles’ because of his dominance on the cobblestone streets surrounding Roubaix in the north of France. 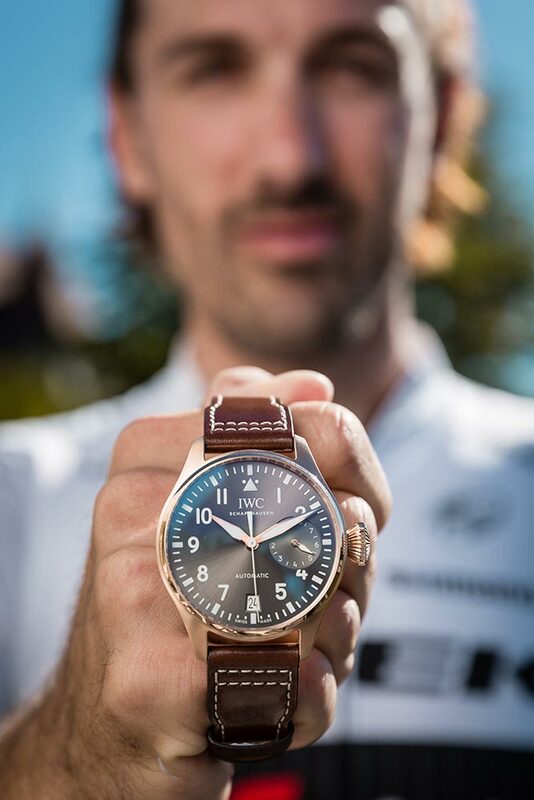 By ending his career with a second gold Olympic time trial medal Cancellara is really also entitled to a nickname that refers to his numerous time trial wins as a junior, as a senior, in championships and during stage races. 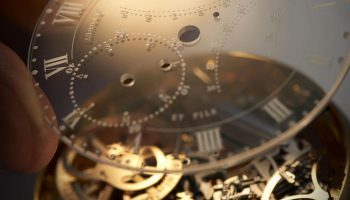 ‘The Time Machine’, maybe?